This video displays the kind of real ed. reform we so desperately need: use digital tools in learning to make it more practical, more preparatory for the workplace, more conceptual, more challenging, and more authentically rooted in the real world. Here at 21k12, my passion is for recognizing how dramatically the world has changed and the way digital technology changes everything, and for how learning should change with it: to become more challenging, more authentically connected to the real world, more relevant, and more digitally empowered and empowering for students. In a very recent post, I wrote about open-computer testing, an idea exactly aligned with what Conrad Wolfram is calling for: give students difficult problems which require creative, critical, and analytic thinking, and welcome them to use computers for the “machinery” of that problem-solving, the computation (just as, let’s face it, every single “professional” mathematic problem-solver– engineer, physicist, chemist, architect– does). Wolfram’s TED talk hits all of these marks. Let’s realize math education is often dull and demeaning not because it doesn’t have passionate and brilliant teachers (it often does) but because it is reduced and simplified to artificially-tooled problems disconnected from the real world. Let’s recognize that math need no longer be about computation: it should be about identifying problems in the real world, using real brain power to think through how to render these problems into mathematical terms, using computers to do the computations of these “hairy” real world problems, and then about applying the answers out back into the real world to see if they work. Conrad Wolfram is passionate, informed, and articulate: can I ask that he be put on the invite list to every national educational conference (including NAIS!) in the next several years? This video, too, should be played in every math department in the nation– immediately. Let the conversation follow, and let’s welcome math teachers to rethink what and how math should be taught in each of their schools, and then bring that to their administrations calling for appropriate change. The hardest question to tackle is the bluntly pragmatic testing one: we will still have the SAT, and other standardized math testing, with us for at least a few more years, and our students cannot yet, for the most part (there are exceptions) use computers for this testing. But the more we make this case, and the more we all think, talk, advocate and argue, from K-16, about the thinking and problem-solving skills our students really need, the more likely we will make progress on this front too, I believe. Wolfram is great in thinking about the implications of moving computation to the computer: it allows more students earlier access to the core concepts of mathematical thinking, with calculus as an example. All adults should understand thoroughly the principles of limits, and their applications, but we can’t teach calculus to students, currently, because the computation requires broad algebraic skills. There is still a place for systems thinking and structured, logical sequential synthesis, but Wolfram explains that that can and should happen in programming, which is meaningful, preparatory for the workplace, and engaging for students who see the results of their effort, in a way they almost never do in a math textbook. I went to two great schools, which I adored, and, frankly, my mathematics education was terrible. Would that Wolfram could have influenced math curriculum before my own learning era; would that we listen to Wolfram to correct course for the next learning era. But what Wolfram says about Math isn’t limited to math: this kind of expansive thinking about how learning can and should adapt to our new age of information and computational power at our fingertips should be brought to every aspect of teaching and learning. 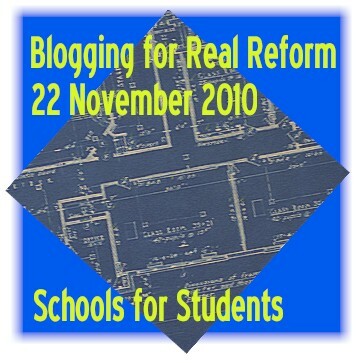 Here’s to real educational reform for the 20-teens! This TED talk by Conrad Wolfram, of Wolfram Research, will really resonate with anyone who follows system dynamics and learner-directed learning. He asks, “what is math?” and decomposes it into four steps: Posing the right questions Trans…..